Ever since you got your driver’s license, you’ve been to told to check your engine oil. But what about the fluids underneath your vehicle? If you’ve got a rear-wheel drive, four-wheel drive, or all-wheel drive vehicle, chances are, you have a differential under your vehicle. Through the use of pinion gears, the differential allows the wheels to turn at different speeds while cornering to prevent skidding.The differential is also where the final gear reduction in the drivetrain takes place and where torque is transmitted to the wheels. 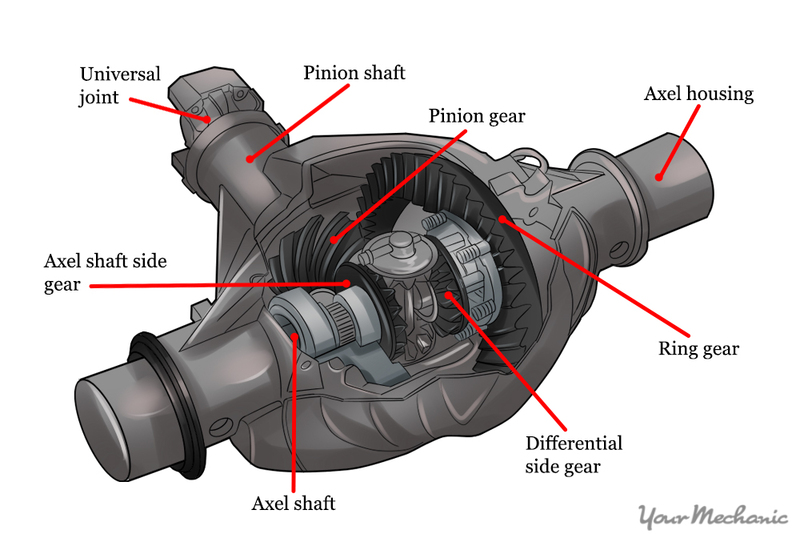 The amount of torque a differential delivers depends on the ratio of two internal gears: the ring and the pinion. Differentials require gear oil for proper operation. This oil lubricates and cools the internal gears and bearings. It’s a good idea to check your differential fluid level if there is any sign of an external differential leak. You’ll also want to check the level if the differential has just been serviced. 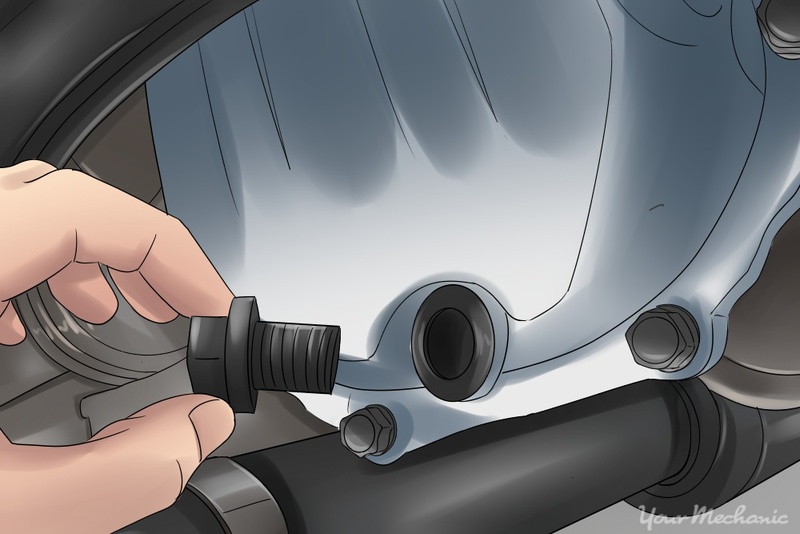 Here’s how you go about checking the differential fluid on your ride. If you choose to get a repair manual for reference, you can look up your vehicle’s make, model, and year through sites like Chilton. Autozone also provides free online repair manuals for certain makes and models. Step 1: Locate the differential fill plug. 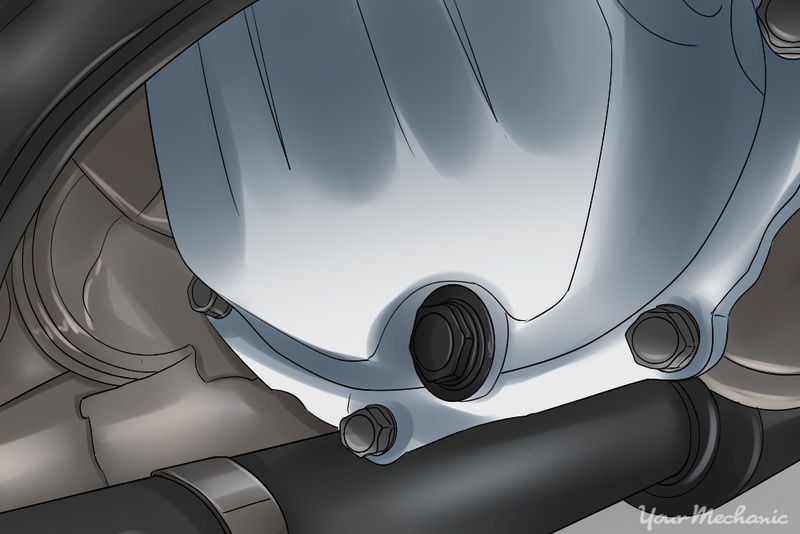 Generally, the fill plug is located on the differential or the differential front cover. The plug may be either hex- or square-shaped. Step 2: Loosen the differential fill plug. 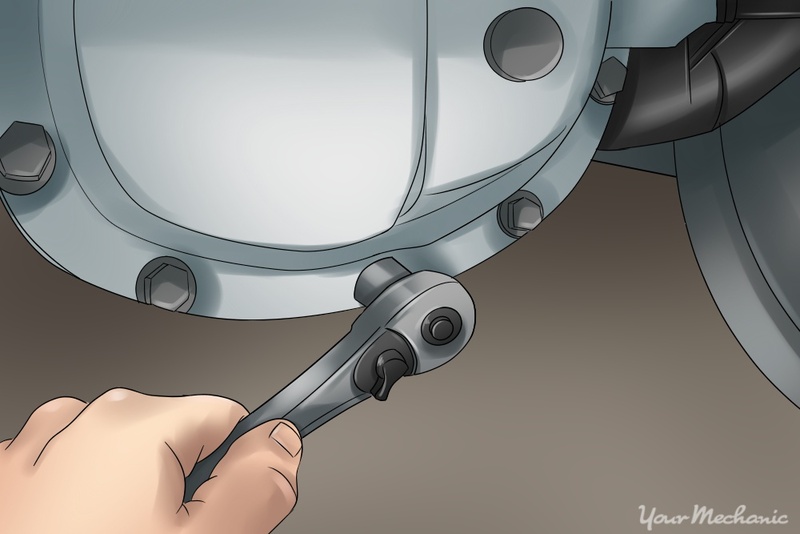 Put an oil drain pan under the differential and loosen the differential fill plug with the appropriate tool. Some fill plugs are loosened with a ratchet and socket, whereas others, those with square female inserts, are loosened with a ratchet and extension. Step 3: Remove the differential fill plug. Remove the differential fill plug. Fluid should run out. If it does not, the level is low and fluid should be added. Step 1: Add the differential fluid. Add the appropriate fluid to the differential until it starts to trickle out. Most differentials use gear oil but the weight varies. The fluid type can be found either in your owner’s manual or the vehicle repair manual. A parts store can also look up the fluid type for you. Step 2: Reinstall the differential fill plug. 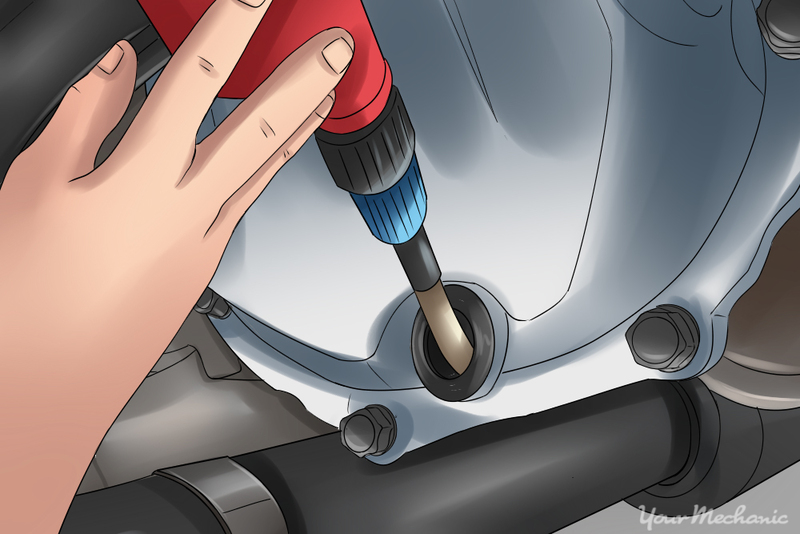 Reinstall the fill plug and tighten it down with the tool used in Part 1, Step 2. 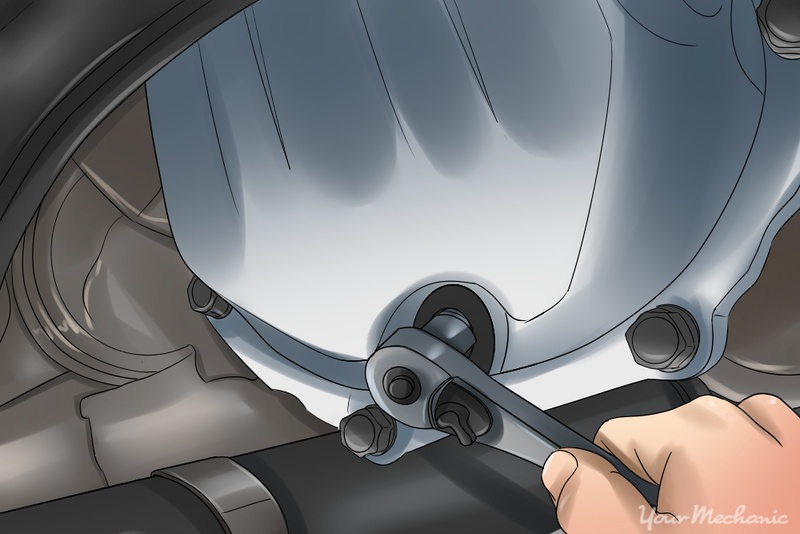 Tighten it until it's snug, or look up the exact torque specs in the vehicle repair manual. That’s it! Now you know how to check more than just the under-the-hood fluids. 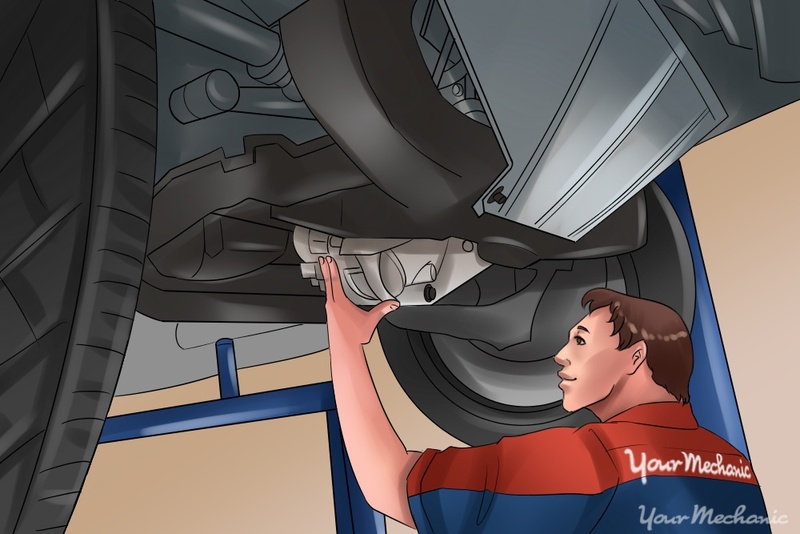 If you would rather have your differential fluid changed or inspected by a professional, the mechanics at YourMechanic offer expert differential service. Q: When I have the clutch in and turn steering wheel there is a noise.